Commonly spread in: The Balkan Peninsula (Bosnia and Herzegovina, Bulgaria, Macedonia, Serbia, Montenegro and Croatia). Propagation in Bulgaria: This flower is found only in the West portion of the lower Balkan Mountain – the Vrashka Chuka (Mount Vrashka), south from the town of Kula and on the hills above the village of Kiryaevo; at an altitude of up to 750 m.
The crocus is a perennial grass like plant with almost spherical tuber. Its height reaches up to 12 cm. The leaves are linear and flat with a length of 20-25 cm and a width of just 0.3–0.5 cm. 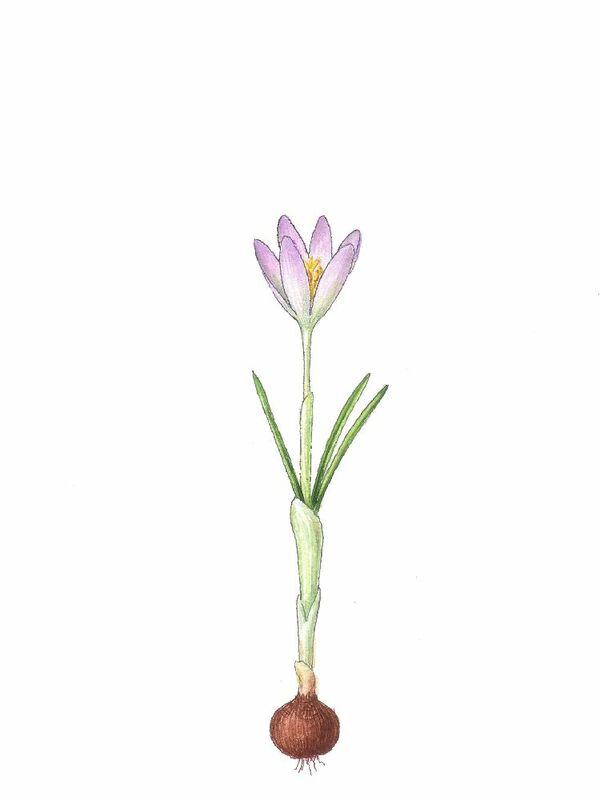 The blossoms of the Tommasini’s crocus are of light dove-blue colour with yellow-orange anthers. 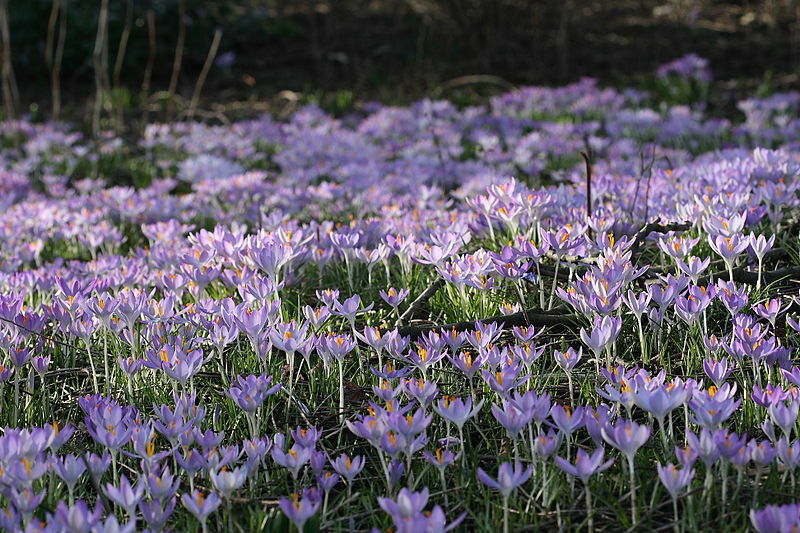 The crocus blooms from January till the end of March. It propagates mainly by seeds and vegetative by daughter tubers. Habitats and populations: The plant grows in dry grassy places and sparse woods in the belt of xerothermal oak forests. It forms multiple populations consisting of several thousand individual species usually clustered in groups. Factors with negative impact: Potential threat for the population of the species is the ploughing of its habitats for agricultural purposes and the clearing of the forests where the plant grows. Protective measures undertaken: This species is protected pursuant to the Biological Diversity Act. Its habitat falls within the protected area of Vrashka Chuka. Required measures for protection: Detailed study of the biology and ecology of the species. Monitoring the condition of selected populations and deposition of seeds with the National Gene Bank located in the town of Sadovo.